Whoâ€™d have thought that a year of bailouts, rising unemployment and budget cuts would turn out to be so good for Lisbon? Taking a look back at the 10 main news and trends of 2012, we can only hope and expect a 2013 that will be just as good or better, at least for Lisbon in general. There were several hotels opening in the city, and not ordinary hotels. A couple of them are even true landmarks such as the Myriad in Vasco da Gama Tower, or the Cascais pousada outside the city in an old fortress by the sea. Another is the stylishly luxurious Fontecruz in the cityâ€™s main boulevard, while the always-buzzing Chiado district had not one, not two, but three new hotels — Mercy, Teatro and Lisboa Carmo — all featuring elegant interiors. 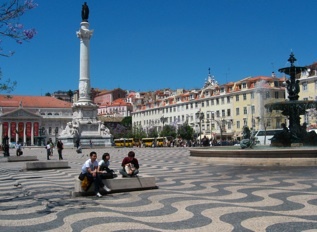 Rossio Square used to be the heart of the city, but thatâ€™s now moved closed to the river, to Comercio Square. The cityâ€™s grandest praÃ§a saw several new cafÃ©s and restaurants open under the arcades of its east wing, and this new leisure area with views of the river also has a club open on weekends (â€œLustâ€) and a new cultural space, the Lisboa Story Centre. In addition to the Lisboa Story Centre which tells the history of the city through multimedia displays and recreates Lisbonâ€™s different historical periods and atmospheres, there was the new Casa dos Bicos, the landmark house from the 1500s that is now home to the JosÃ© Saramago Foundation remembering the Portuguese author who won the Nobel Prize. Not very far is Martim Moniz, Lisbonâ€™s most multiethnic neighborhood which was revitalized with a new weekend market and new kiosk cafÃ©s open every day, offering foods from all over the world. Speaking of food, Lisbonâ€™s restaurant scene is changing. In order to survive the economic crisis it had to be more creative so it went back to what never fails — the old traditions everyone loves. That meant â€œpetiscosâ€, or what is often called â€œtapasâ€ for international visitors, with restaurants now specializing exclusively in those small plates of food grandma used to make. Of course many of those are recreated and readapted to modern times, like the other new trend in the city — the new â€œtabernas.â€ What used to be simple family-owned places are now stylishly-decorated spaces but with the expected laid-back atmosphere. Restaurants werenâ€™t the only ones looking at tradition as a means to escape the crisis. The best new shops also offered the best of â€œMade in Portugal,â€ including the first of the future chain of â€œNata Lisboaâ€. Believing that â€œthe world needs Nata,â€ this new cafÃ© (there are currently two of them) specializes almost exclusively in Portugalâ€™s famous custard tarts that almost no one can resist. Then there was the new P Chiado cafÃ© offering the pastry specialties of Sintra in the center of Lisbon, the new Mercado 1143 which is a grocery store/market presenting only Portuguese products, and Loja da Burel with creative and top-quality handmade products from central Portugal. Finally, Portugalâ€™s canned foods have become gourmet delicacies at yet another spot, the Can the Can restaurant in Comercio Square. The best Lisbon news for travelers was the extension of the metro which finally reached the airport. And the station is quite an attraction in itself, decorated with curious cartoon images of some of Portugalâ€™s biggest personalities and cultural icons, making it an interesting new welcome to the city. Perhaps the biggest surprise of the year was the continuous opening of international luxury shops down Avenida da Liberdade. The luxury market is the only one booming during the current crisis, so thereâ€™s a new Gucci, a new Miu Miu, Officine Panerai, Emporio Armani, Hugo Boss… and a new Cartier and others will be joining them in 2013. Another brand to open in central Lisbon was Tous jewelers which took over the cityâ€™s most beautiful shop, the former Ourivesaria AlianÃ§a in Chiado. Other classic spaces that had a makeover but kept much of the old look were Mimosa da Lapa, the 50s-style Sapataria do Carmo shoe store, Silva & FeijÃ³, and the Old Pharmacy which is now a wine bar. 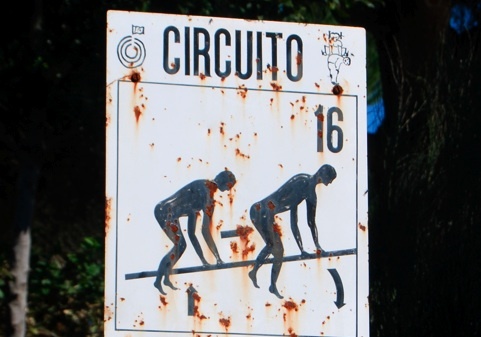 Petiscos and tabernas were not the only trends in Lisbon in 2012. Perhaps the biggest of all was the several high-profile bakeries opening in the center of the city. First was A Padaria Portuguesa downtown and in Chiado, then came Ratton next to Rossio Station, La Boulangerie with its French-style bread, and Tartine which makes a pastry thatâ€™s already a classic, the eggy â€œChiadoâ€ cake. Speaking of pastries, 2012 was the 175th anniversary of PastÃ©is de BelÃ©m, and the 90th of the cityâ€™s most beautiful cafÃ©, Pastelaria Versailles. Also celebrating was one of Lisbonâ€™s most photographed icons, the Bica funicular which turned 120! 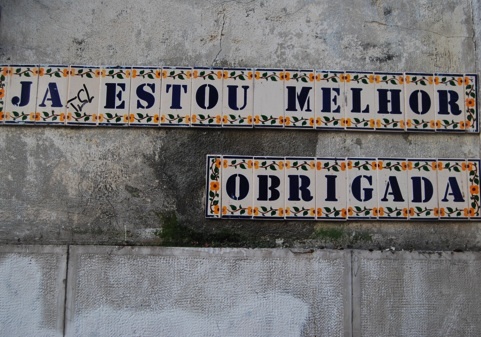 Lisbon has just won the European City of the Year 2012 award from the Academy of Urbanism based in London. That’s an autonomous, politically-independent organization made up of a diverse group of people involved in the development of towns and cities, and the award results from the votes of over 500 members. A total of 15 European cities were considered after visits of assessment this summer. Lisbon was singled out for its local character and distinctiveness, environmental and social sustainability, and most improved urban environments. 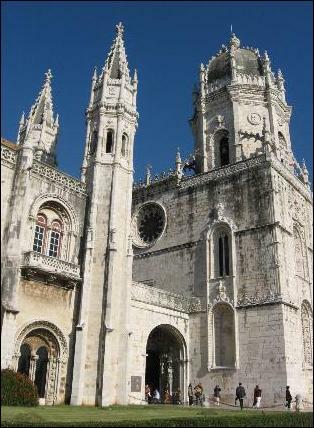 According to the Academy, Lisbon is a city which has survived two millennia, facing enormous challenges over time. 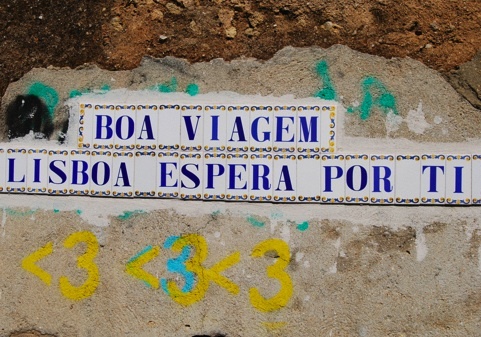 It’s now a unique setting for the expression of Portuguese culture while attracting influences from Portugal’s links to Brazil, Africa and other world regions. Among the projects analyzed in the Portuguese capital were the renovation of the historic Mouraria quarter and of the riverfront. Tiles are used for everything in Lisbon, from street signs to door numbers, to covering entire faÃ§ades to cool down the interior. But apparently someone also decided to use it for a personal message. It reads: “I’m better now, thanks.” It’s found on a wall outside one of the exits of the Baixa-Chiado metro station, and the more logical explanation is that it must be part of some kind of artistic project. Whoever created it, didn’t have the type of dirty mind that will misinterpret this sign at first glance. It’s found in a neighborhood park used for working out, and it’s just one of many indicating the type of exercise to be done on that spot. In this case that’s progressive jumps across a bar. The votes come from travel industry executives and agencies who apparently feel that currently Lisbon is an unbeatable destination in Europe. The Portuguese capital certainly does have its strong points, from an international airport in the very center of the city to where all the major airlines and low-cost carriers fly every day, to travel-friendly weather throughout much of the year. Then there’s the quality of the accommodation, with 3 and 4-star hotels being of a high standard, and the possibility to stay at a 5-star for less than 100 euros. Budget travelers will also find what are classified as the world’s best hostels year after year, as well as the choice of beautifully-furnished apartments in the center of the city. 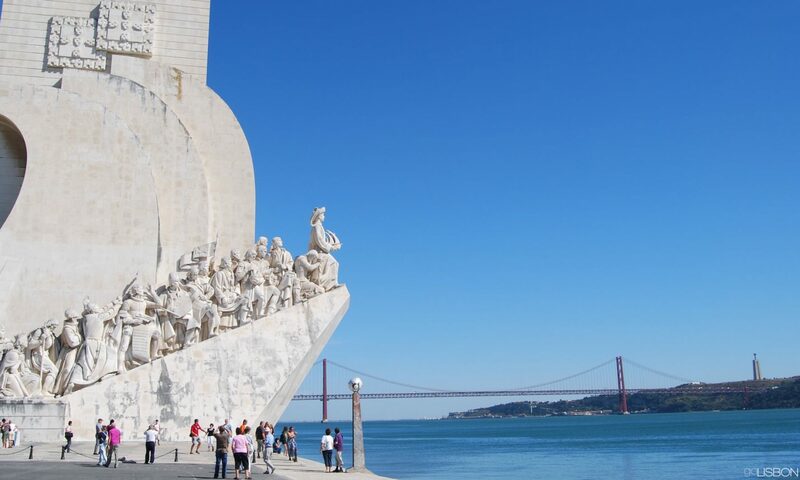 Lisbon’s attractions are also outstanding, with World Heritage monuments from the Age of Discovery and their singular architectural style, to surprising museum collections, to the breathtaking views from the top of hills and major landmarks. For young travelers another plus is the nightlife, with cheap drinks and all-night socializing on the streets which are also generally much safer than other European capitals. Everything is also still much more affordable than in the rest of Western Europe, and in not too many other cities will you find such a variety of activities, from beautiful beaches to golf. 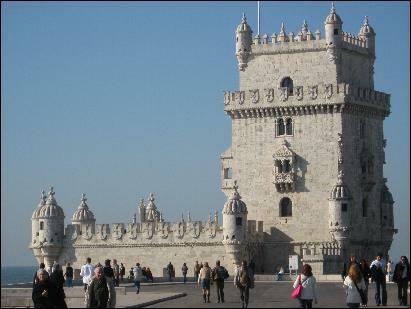 European travelers have chosen Lisbon as Best Destination 2010. Competing in a list of 10 finalists (the others were Barcelona, London, Bilbao, Copenhagen, Amsterdam, Berlin, Prague, Lyon, and Helsinki), Lisbon was singled out by the European Consumers Association based in Brussels for having been able to preserve its soul and cultural riches. Other factors that weighed on the judging was quality of life and infrastructure, as well as cultural and touristic attractions. The European Consumers Association distinguishes several products of different categories every year, but this was the first time it singled out cities. Special judges and European consumers make the evaluations. This is not the first major travel distinction received by Lisbon in the past few months, having won Europe’s Leading Destination, Best City Break, and Leading Cruise Destination at the World Travel Awards last October.